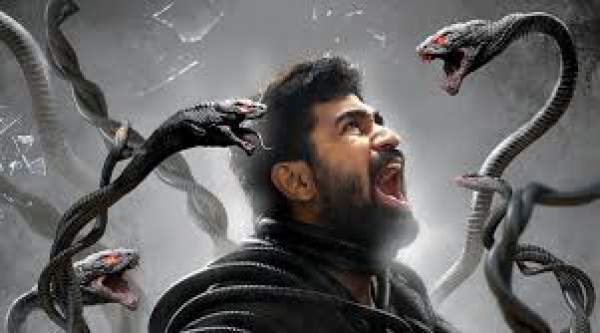 Saithan Review Rating: The latest Kollywood/Tamil movie Saithan releases on December 2 due to demonetization. It is simultaneously released in Telugu as Bhetaludu. The film revolves around a man who hears voices which lead him to investigate an unsolved murder. Further revelations will spoil the fun. People wait for such films as they carry interesting surprise elements which are its main contents. They keep the audiences stick to the edge of their seats. Thus, without spoiling anything, we would like to move ahead to the Saithan movie review. Vijay Antony has established himself as a niche film artist over the years after numerous successful films. He has taken his fans into confidence that he is always going to make entertaining films. However, Saithan looks different from his earlier line of work. Check: Jio Welcome Offer Extended Up To 31st March 2017. Saitan is an interesting blend of mystery and crime. Knowing the exact genre of the flick could end up being a spoiler. So, skipping it. Check: Bigg Boss 10 1st December 2016. The movie has got an intriguing storyline which can properly say to be appalling, savvy, and grossly unsettling. At some points, you may want to skip the scenes as you may feel the film is going out of its track. But, you won’t be able to wink your eyes even once. The credit goes to its story. The script is interesting, but the movie could have been even more intriguing if the execution had been done in a better way. There is some scope for making it better. A great movie is said to be one which makes a complicated script easy understandable. The ‘Saithan’ lacks here only. The flick consists mysteries with many layers. But, let’s see how much the audiences understand. On the whole, it could have been executed in a better way. The climax is the must watched scene which the ideas and imaginative details of unfolding of the mystery. As you get to know about the film, it gets lost in blind alleys due to poor execution. Such kind of movies shouldn’t have an ordinary ending. Noticeable skills can be seen while watching it. The background score is impressive and enough to set the mood. However, songs look unwanted as they are not up to the quality needed. The cast includes both experienced and young actors. They have utilized the opportunity and shined. It seems that Vijay is getting better with every film he does. Arundhathi Nair has done justice to her role. Veteran actors like Charu Haasan and YGee Mahendran have performed well. The most notable part of the film is how the director raises the mystery to the level of moral provocation. The moviegoers will definitely enjoy the first part of the movie. A criminal roller coaster ride filled with twists have been so unsettling with no choices. Interesting script, but not so exciting flashbacks and typical climax reduced the overall quality. Have you watch the movie? What’s your Saithan review?